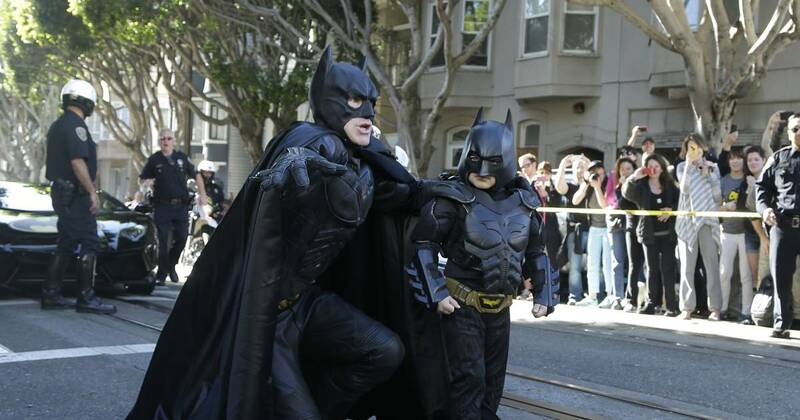 Five years ago to the day, Miles Scott, who was battling leukemia, became a real-life superhero when he got to dress up as Batman and take down Penguin and Riddler in San Francisco as part of a touching request he made through the Make-A-Wish Foundation. The city’s police and fire departments, the San Francisco Giants and the late San Francisco Mayor Ed Lee, granted 5-year-old Miles’ wish by turning the city into Gotham allowing the brave little boy to fight crime and rescue the Giants’ mascot, Lou Seal. Miles affectionately became known as “Batkid” following his special day. Now, at age 10, Scott is cancer-free after being in remission for the past several years, Make-A-Wish said in a statement Thursday. He finished his last treatment in November 2013, right before he became Batkid. “Since his crime fighting day five years ago, Miles has returned to being a typical kid — playing little league, going to school, helping his family farm, and even selling his first market goat in the local fair,” the organization said in a statement.